The fact that the public is becoming more aware of their health poses a challenge for many FMCGs which are within the unhealthy snack industry, because people are becoming less interested in traditional unhealthy snacks, and more into healthier ones. As most FMCGs are sold in supermarkets, this means that there is a lack of direct sales contact with the consumer, meaning brands have to reach the consumer before point of purchase. Additionally, recent economic factors have affected the profits made in the FMCG sector; consequently, brands have to think more strategically about advertising budgets. All of these pose a challenge to FMCGs, and as a solution, brands need to find ways to focus on brand building and catching the consumer at the last point of contact; all of which can be enhanced through outdoor advertising (OOH). Globally, consumer confidence has improved, having a positive effect on the FMCG market. In the UK, for example, it grew by almost 2% in the second quarter of this year, and 78% of urban consumers expect to spend the same or more on groceries in future. Health has become a more significant part of our daily lives, with a third of people buying healthier food this year compared to last year and more people cooking meals from scratch, meaning they are less likely to buy snacks. However, with 54% of people thinking about groceries whilst out, it means brands can grab the opportunity to engage with their customers and influence their purchasing decisions. OOH provides an efficient platform to support brands in targeting customers at the point of purchase. 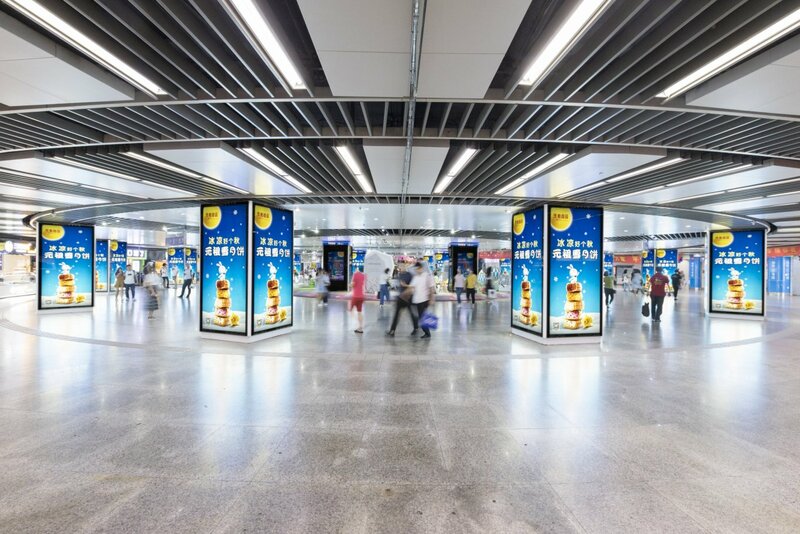 As 83% of people recall seeing OOH advertising within the last 30 minutes before shopping, campaigns can be strategically planned so that advertising screens are included at point of sale locations to display the brand’s creative and to remind the public to buy their product. As FMCGs do not tend to sell directly to their customers, and nearly half of food products are sold on promotion in the UK, brands face fierce competition. For brands to retain their customers in this industry, it is vital that they jump at any opportunities of having a direct relationship with their consumers, by focusing on customer acquisition and sustaining customer retention. To overcome this, brands must focus on long-term growth through brand building. By making their advertising as personal and customer-orientated as they can, loyalty can be strengthened, and price sensitivity to the brand’s products can be reduced. In the long run, this will enhance a brand's position in the market. Advertising serves as a multi-use platform for FMCG ranging from raising awareness to driving purchase to brand positioning in a new market. There has been a rise in FMCG brands launching different flavoured products depending on the region, to connect more personally with their customers by showing an appreciation for their country. Dynamic and contextual OOH adverts are another way that brands advertise content directed at different audiences. Media owners are increasingly allowing brands to buy more contextually-targeted campaigns to match with the demand. FMCGs are facing many challenges, ranging from changes in consumer tastes and purchase habits, to macro-economic factors. This has resulted in a reduction in advertising spend for this sector. FMCGs are still making the most of OOH, focusing on point of sale advertising, brand building campaigns and targeted advertising to reach their consumers.